How do I browse the Art Catalogue? Find out where you can find and view the Art Catalogue. 1. Within creativehub - Log in / sign up and navigate to "sell art prints > "art catalogue"
To browse the Art Catalogue within Shopify you will need to have the Art Catalogue App installed in your Shopify account. 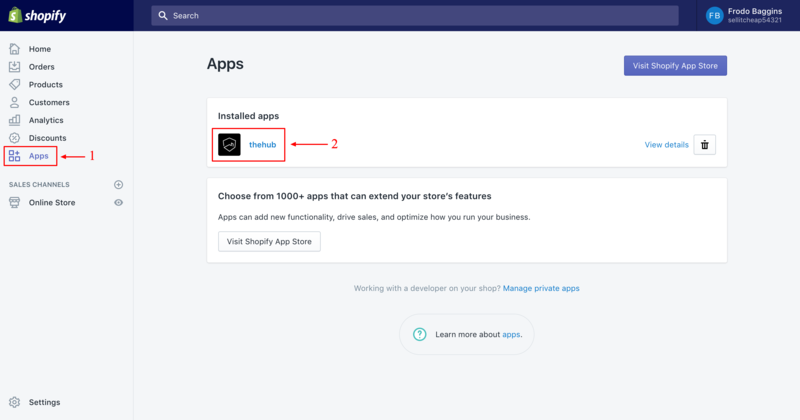 For the full guide to installing the Shopify app click here. 1. Click on "Apps" in the sidebar menu in Shopify. 2. You will find the creativehub app in the "Installed apps" tab at the side of the page. Click "thehub"
3. You can browse the images available in the Art Catalogue from inside your Shopify. 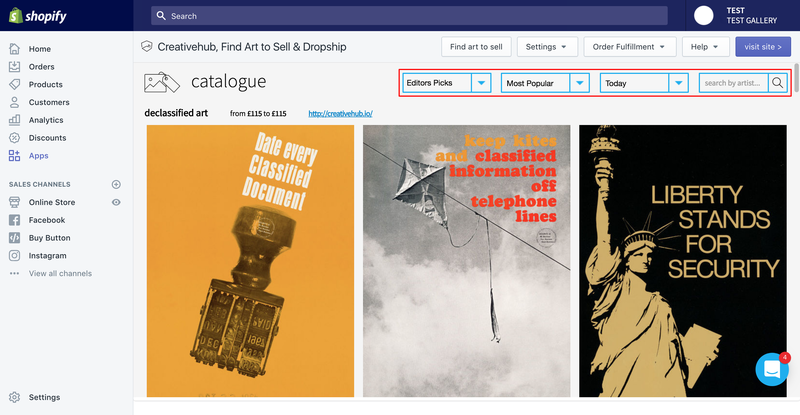 You can filter results by categories and sort results by Most Poplular, Recently Added, Size, Price, Prints Sold and Gross Revenue at the top of the page. Still have questions? Chat to us online! Just click the small blue bubble on the right hand side of your browser to start a conversation with one of our team members.